Few topics in human history have such deep, meaningful roots as tattoos. For this reason I decided to give it a fresh approach! Join me while we explore the possibility of complementing this thousand-year old practice with modern technology! The oldest tattoo on record belongs to Ötzi*, a man who lived over 5000 years ago in the Italian Alps. 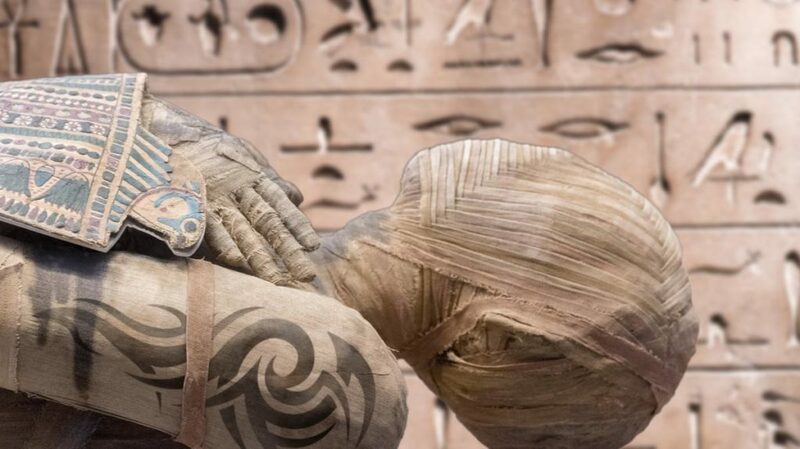 His mummified body has at least 57 tattoos consisting of stripes, crosses and dots. Without a doubt, the art of tattoos has “marked” human history while evolving in amazing ways. As mentioned in my previous blog post, Parametric Design can greatly improve a designer’s workflow by allowing real-time modifications, re-calculations and patterns that could take a lot more time (or wouldn’t even be possible) without it. On top, almost anyone can create original patterns if the interface is good enough. Why a Parametric Tattoo Configurator? This got me thinking, could there be a “real-world” application for Parametric Design? Something almost anyone could understand? A use that could spark a broader audience’s attention? Furniture and jewelry seems like an obvious choice at first, but it certainly isn’t controversial, it doesn’t get people talking, people that wouldn’t usually look at Parametric Design thinking it’s an interesting topic. This thinking got me to this topic, where I wanted to know if it was possible to complement the art of the ink on the skin with what an algorithm-powered design could offer. Therefore, I created this Parametric Tattoo Configurator embedded below. In order to produce the best possible result, it’s essential for you to measure the radius of your own wrist and the top of your forearm, and the distance between these two points. The curve thickness is dynamic, meaning it can increase and decrease. The obtained curves are mapped on a forearm so you can get a preview of the tattoo on the skin. You can applythe mapping on the whole forearm or just in a section. You can flip the design, even rotate it in order to get the best fit for your taste. When you’re done, thanks to ShapeDiver’s tools, export a flat template of the design that can be followed by the tattoo artist while he draws. And this was the whole point, your own tattoo, professional-looking, one-of-a-kind, in a few clicks, from home or at school or at the airport. This has never been possible before. Exciting times we’re living in. Getting the tattoo done, for real. Once I finished developing this tool, I visited several tattoo studios in order to show how ShapeDiver’s configurator worked with this definition. The tattoo artist from Little Day showed a lot of interest in the subject and she offered to create for real the tattoo we’ve just printed out. It took overall around 5 hours to get the job done and we achieved a great looking result as you can see from the video embedded below. It’s a pretty good idea! It makes it easier to apply the template since otherwise I would have to draw by hand directly on the skin. I would definitely have this configurator in my shop in order to generate these type of geometric tattoos for my clients” commented Little Day. What I can conclude after this experiment is that Parametric Design may be ready to enter new industries, as long as the design flow is improved and it provides a good user interface. I am sure that as soon as more people get in touch for the first time with Parametric Design, new ideas will begin to flow. What do you think about this? Is Parametric Design ready to enter new markets and disrupt how design and manufacture is made? Are you into tattoos? Would you use this type of configurator? Leave your comments down below and let’s start a conversation! Don’t forget to also follow ShapeDiver on Facebook here and my own Facebook page here!